VIVA VIVA: What's the Kim Deal? Last week we received our new EP, What's the Kim Deal?, from Fort Point Recordings, in all its hot pink vinyl glory! Not only is the vinyl now in, but you can also download the EP online at iTunes. Hot off the press and just in time to have copies available at our show this past Saturday nite at Radio, where there were a few friends excited to pick up the latest release. This six song EP is filled with some of the favorites you've been hearing on stage over the past few months, including Fishing Hole and Hailing A Cab In Hell — nominated for Boston Phoenix/WFNX Best Music Poll 2012, Boston Accents Song of the Year! If you haven't voted yet, VOTE VIVA VIVA now! You can also find us nominated for Boston's best Live Act. Voting ends May 18. We'll have copies of the EP available at all of our upcoming shows, including Sat May 26 at the Middle East Downstairs with Hallelujah The Hills, Frank Smith, and The New Highway Hymnal. 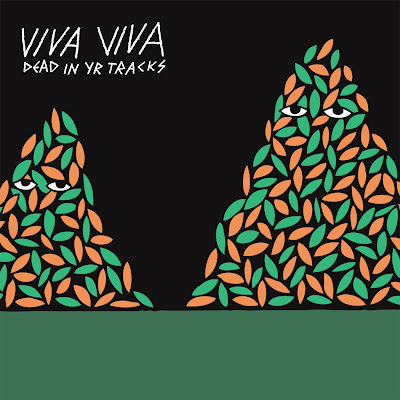 If you can't make that show, or just can't wait that long and NEED some Viva Viva vinyl, then go on over to our Viva Viva merch page, where you can order a copy for yourself and loved ones, through our PayPal shopping cart. Each vinyl EP comes with a download card, so you can easily get a digital copy for your mp3 player, phone or computer.